Cooking Contest Central® (CCC) is the premier website and online community for cooking and recipe contest enthusiasts. The site was founded in 1997 by Betty Parham to create an online cooking contest community where culinary competitors could gather, share information, and become friends. Today, the site is owned and maintained by Kristina Vanni, third-generation recipe contester and cooking contest expert with more than 20 years industry experience. Our diverse membership is spread throughout America, hailing from New York to California, Minnesota to Texas, Hawaii to Arkansas, and beyond! If you have a passion for food and are ready to express your creativity, then cooking and recipe contests are right up your alley. This exciting hobby is not only a creative outlet, but can be quite lucrative as well! There are literally millions of dollars in prize money out there, waiting to be claimed. Not to mention luxury vacations, kitchen appliances, or even just free groceries! Why become a member of Cooking Contest Central? You can’t enter if you don’t know about the contests! Here at Cooking Contest Central you can think of us as your personal assistant. We do the leg work for you to find the thousands of the local, national and international contests seeking submissions every year. Members will obtain access to our extensive contest listings and receive our “Contest Alert” newsletter. The world of cooking contests is about more than just great recipes. Here at Cooking Contest Central we are a tight-knit community of food lovers who are ready to help each other with support and advice. This is the only site where you will have access to our member forums where you can ask questions, brainstorm ideas, or share success stories. We welcome new contesters with open arms! We also offer exclusive, members-only recipe contests here at Cooking Contest Central. This narrows the playing field and gives you more opportunities to test your skills and win! Annual dues are $25. Click here for more information about becoming a member and membership benefits. 20% of members having won more than $25,000! And we don’t just win big! Several of our members have chosen to leverage their cooking contest success into impressive careers in the food world. Many have written cookbooks, and we are even home to a James Beard Award Winner! Others have opened restaurants and launched product lines! If you are a passionate home cook or food blogger looking to launch a culinary career, cooking contests are a great way to build a resume and network. A third-generation recipe contester and nationally recognized cooking contest expert, Kristina Vanni is the owner and CEO of Cooking Contest Central®, the premier website and online community for cooking and recipe contest enthusiasts. Following in the award-winning footsteps of her mother and grandmother, Kristina has deftly navigated the competitive cooking world for more than 20 years. 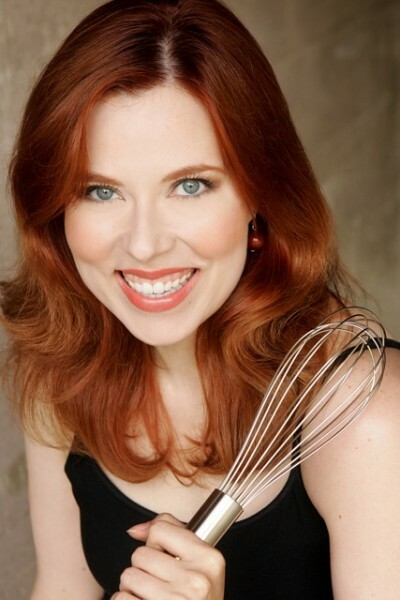 A well-known culinary authority and food writer, Kristina has served as the face and voice behind BetterRecipes, part of the Better Homes and Gardens family of websites, since 2010. The cooking contest connoisseur began her national contesting career at the tender age of 12 when she earned a spot in the winner’s circle at the iconic Pillsbury Bake-Off. She’s since gone on to win top honors from Martha Stewart, Betty Crocker, Kraft, and Santa Rita Wines, among others. Kristina serves as a go-to resource for national media, culinary event host, national recipe contest judge, guest speaker at industry events, and spokesperson and recipe developer for national brands. Stay in touch with Kristina through Twitter, Facebook, Pinterest, Instagram and her website, KristinaVanni.com.